Jen Turano has created her own genre of fiction by writing humorous historical romances. Behind the Scenes is the perfect example of historical fiction meets romantic comedy. I have read many titles by Turano, and this by far is the quirkiest. While I enjoyed it, there were a few times I felt like parts of the story were a bit over the top. In Behind the Scenes, a wallflower, Permilia Griswold discovers a murder plot while attending the Vanderbilt ball. It involves the handsome Asher Rutherford…one of the few gentlemen who found his way onto her dance card. Permilia knows she must protect Asher and find out who wants him dead, and why. From here, the story takes a number of crazy turns. Near the end, I found myself laughing at the unexpected conclusion. It was almost if Permilia had wondered on to the set of Days of Our Lives. I should also add that Turano tells her stories through dialogue. There isn’t a tremendous about of scene description or pages of inner thought. Behind the Scenes is eighty percent conversation. All things considered, Behind the Scenes is a decent read that I enjoyed. It isn’t a book I would consider a favorite, but not every book can be. This book is the start to a news series and I am hopeful I will enjoy the subsequent books even more. Turano’s After a Fashion, is without a doubt one of her most memorable novels. If you enjoy humor and historical fiction, this book is for you! Jen Turano writes like no other author in the Christian Historical Fiction genre. I was given a complimentary copy of this book by Netgalley and Bethanyhouse. I was not required to give a positive review and I have not been compensated in any way. I have had the privilege of reading all three books in Tamera Alexander’s Belmont Mansion series. This last book, A Note Yet Unsung is without a question my favorite of the three! It was a fantastic ending to a fabulous series!! While this book is third in the series, you could absolutely read it as a stand alone. Tamera Alexander does include characters from the previous books, but in a fun flashback sort of way. A Note Yet Unsung, is a charming story about a tenacious woman before her time. Rebekah Carrington has arrived home to Nashville from Vienna without money or a safe place to live. She is an extremely talented musician living in a time when women are not invited to participate in symphonies. She soon finds that the city has acquired its own philharmonic with a promising conductor, Nathaniel T. Whitcomb. The war is over and times are changing… perhaps Mr. Whitcomb will offer her an opportunity to live her dream. Her hope for her future rests in hands. I love the way Tamera Alexander develops this story. There is no love at first sight or unbelievable relationship created. Page by page, Rebekah and Nathaniel get to know one another. I love the amount of page time dedicated to the development of their story. This story is perfection, an easy five stars. I was given a complimentary copy of this book by Netgalley. I was not required to give it a positive review. To be perfectly honest, I was patiently waiting for this book’s release so I could request it. I would have purchased a copy for myself because Tamera Alexander is in my top three must read authors!! 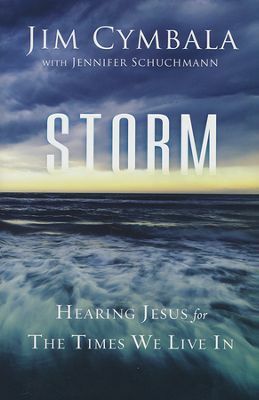 Storm is yet another great read by Pastor and author Jim Cymbala. I found it insightful and full of wisdom for living in the world today. It will make my list of favorite non-fiction reads for 2014. I think the most surprising thing about the book is that Pastor Cymbala identifies several areas in which Christians have gotten off task when it comes to reaching the lost. If there was ever a time to keep the main thing the main thing, it is now! My favorite parts of the book were the stories of life change. I love to hear stories of people experiencing the gospel and as a result their lives are never the same. The most inspiring to me was the story of Avril. Most of us would look at her life and count her as a casualty of her circumstances. However, Avril overcame and not by her own hand but by the grace of God and a Pastor who took the time to show her Christ’s love. His simple act of blessing her with furniture changed the course of not only her life, but the lives of so many people. If you have time to read one more book this year, pick this one. I was given a complimentary copy of this book by its publisher n exchange for an honest review. All opinions are my own and I have not been compensated. Somehow, someway, I missed Julie Lessman. How have I never read one of her titles? She writes what I like to read and she does it so well. The only disappointment I felt in reading this book was that it was book three. I so wish I had read one and two, and not because I needed them to enjoy Surprised by Love. This book stands alone, but you will want to get to know the stories of the other characters in this title. In Surprised by Love, Megan McClare is returning home after spending a year in Paris. She has changed so much in her time away from San Fransico. All grown up and gorgeous, Meg reunites with her long time and dear friend Bram. Bram is taken aback when he feels attracted to the girl who he often thought of as a sister. 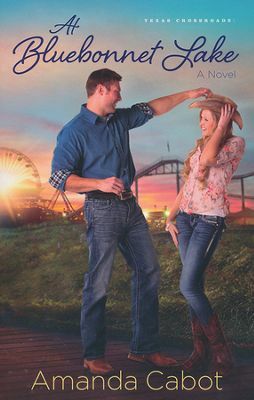 As a bonus, Lessman includes a second love story in Megan’s mother Caitlyn and her Uncle Logan. It sounds kind of odd, but Logan was her father’s brother and her father is no longer living. The arrangement made for a page turner. I was excited to see to relationships develop between characters and in a wholesome way. I loved it! 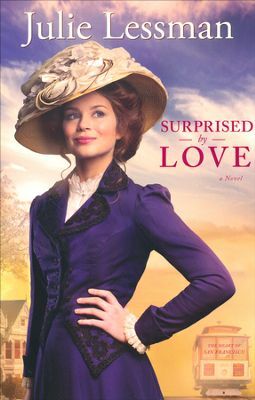 If you are a long time fan of Julie Lessman or a lover of Christian Historical Fiction, I know you will enjoy Surprised by Love. I am excited to discover another fabulous author in this genre. I received a complimentary copy of this book by its publisher in exchange for an honest review. I have not been compensated and all opinions are my own. At Bluebonnet Lake is the first in Amanda Cabot”s Texas Crossroads series. It is easily described as contemporary romantic fiction written with the lovely state of Texas as its backdrop. In fact, I love to read books that take place in Texas. It is why I chose to read this particular title! In this novel, overworked Kate Sherwood agrees to travel to Texas to allow her grandmother to revisit a memory. Soon after arriving at Rainbow’s End, Kate is no longer distracted by work, but by a handsome stranger named Greg. As a bonus, Cabot writes in a second romantic side story in Kate’s grandmother Sally and a local man who has experienced the loss of his dear wife. To be honest, this was not my favorite read this year. I felt like it was a bit long-winded and some thought processes of the characters were over explained. If you enjoy location driven fiction with a delicate love story, this is likely a novel you will appreciate. Further, Cabot is picking up the story line in the next title in the series with characters you meet in this book. I am typically found of books that are tied together in location and related characters. I was given a complimentary copy of this book by its author and publisher in exchange for an honest review. I have not been compensated and all opinions are my own. 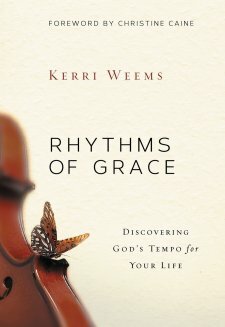 After devouring Rhythms of Grace in one sitting, I can confidently give this title by first time author Kerri Weems a standing ovation. There seem to be books flooding shelves of late identifying areas we all struggle with in our daily lives. Rhythms of Grace goes one step farther by offering a solution to our day-to-day madness. Kerri Weems has written a much-needed book for women…or men who live in the real world and feel the very real strain of spinning plates without dropping a precious piece. While the entire book is practical and fabulous, I have my favorite parts. I love how Kerri differentiates between a “Good Opportunity” and a “God Opportunity.” This idea struck such a chord with me. She goes a step beyond and offers advice on filtering opportunities by asking some essential questions. Truly, the second section of Rhythms of Grace, Pacesetters and Peace Stealers, is worth the purchase of this book. I recommend this book for everyone who is feeling beyond exhausted every day. You will no doubt find this title to be a valuable resource. I was given a complimentary copy of this book by the publisher and BookLookBloggers in exchange for an honest review. All opinions are my own and I have not been compensated. 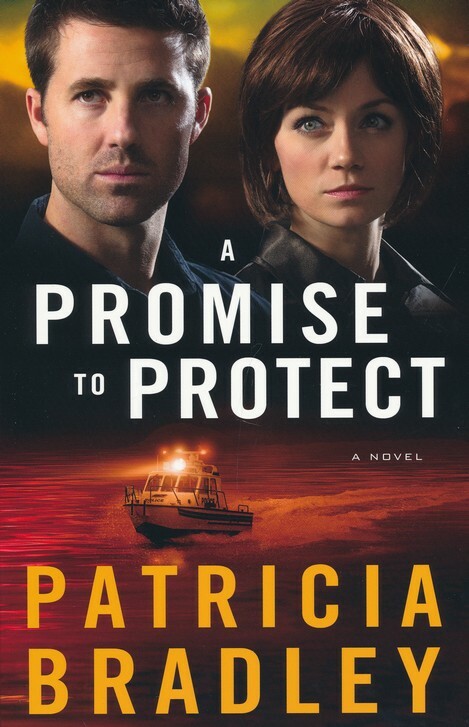 A Promise to Protect by Patricia Bradley is the second installment in the Logan Point Series. I read it without having read the first book and I did not feel like I was missing out at all. This particular title is full of all of the drama, romance, and suspense required in a good novel. I will admit it took the first one hundred pages to draw me into the story. At first I was a bit disinterested. There seemed to be a lot going on and I was getting lost in the details. However, I am glad I did not give up on this book! I truly enjoyed it and I will be looking forward to further books by Patricia Bradley. This particular story involves Leigh Somerall who is returning home to Logan Point to finish time required on her payback contract from medical school. She really wants to move on with her life and leave Logan Point behind her, but the loss of her brother puts Leigh in an unexpected and dangerous situation. Leigh must rely on her former love interest, Sheriff Ben Logan, to keep her and her son safe. Despite its slow start, I would give A Promise to Protect 3.5 stars for its action and interesting love story. While it is not my favorite book this year, it is worth reading. I was given a complimentary copy of this book by its publisher in exchange for an honest review. All opinions are my own and I have not been compensated. 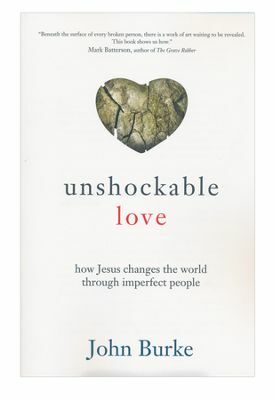 In Unshockable Love, Pastor John Burke tells story after story of imperfect people showing others the way to Jesus. These imperfect people make such an impact because they themselves have been remarkably changed. I delighted in the endless stories of one life change resulting in several more. A domino effect than can be duplicated if we can see people the way Jesus sees them. Simply put, Unshockable Love is a guide-book for reaching people for Christ by changing our own vision. I love how Pastor Burke reaffirms the value Christ places on each person. How He views each as a masterpiece, and that we should do the same. This book offers helpful direction in what should be the obvious. Perhaps one of the most helpful reminders is that of serving your neighbors. We don’t have to go far to see people who are in need. They are all around us, at work, across the street, and in our schools. I would easily recommend this book to any Bible Study or small group. It would easily start a conversation that could light a fire in the community in which you live. It is an excellent read and well-worth your time. I was given a complimentary copy of this book by its publisher BakerBooks in exchange for an honest review. I have not been compensated and all opinions are my own. Everyone who loves a good book has a favorite author. Laura Frantz is mine. I am always elated to read one of her books. 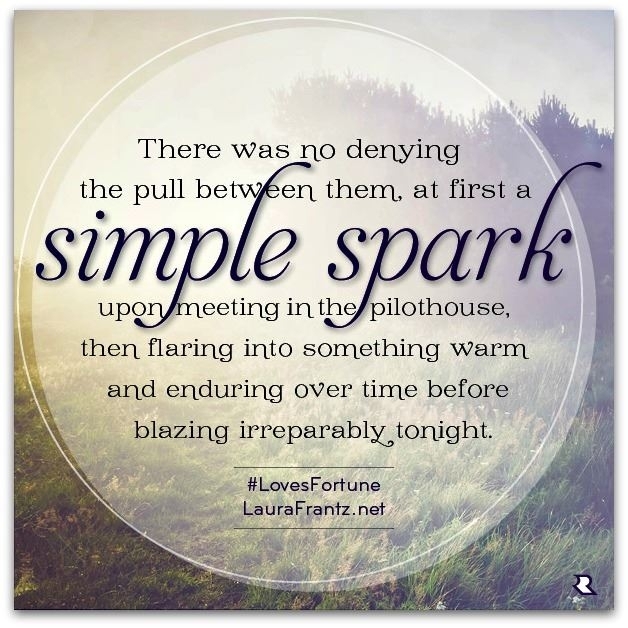 Love’s Fortune is another novel by Laura Frantz I will be adding to my shelf of favorites. It is third in her Ballantyne Series and it is magnificent! While this book stands alone, I enjoyed seeing all of the characters from the prior novels in this story. At nearly 400 pages, this book is no novella, but I could not put it down until I had finished every last word. At roughly 2 a.m. a few nights ago I turned the final page with a sigh of satisfaction . In my state of exhaustion the following day, I was tempted to read it again to savor it. But I am saving my second read for an upcoming lengthy plane ride. 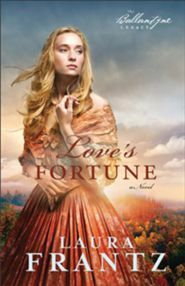 In Love’s Fortune, Wren Ballantyne travels to Pennsylvania to meet her extended family, most for the first time. She is thrust into unfamiliar territory for a simple girl from Kentucky. A handsome steamboat pilot, James Sackett, is there to help her navigate all of the rules of society. It is the relationship between them that kept me turning pages through the night! No one writes like Laura Frantz. She is a historian, a poet, and a master of detail. Her stories are not overdone, they are simply wonderful. I devour every chapter like it’s a Godiva truffle. If you have read the first two books in the series, you will cry when you see Eden and Silas Ballantyne in their later years. I know, because I did!! Thank you Laura Frantz for another amazing novel! 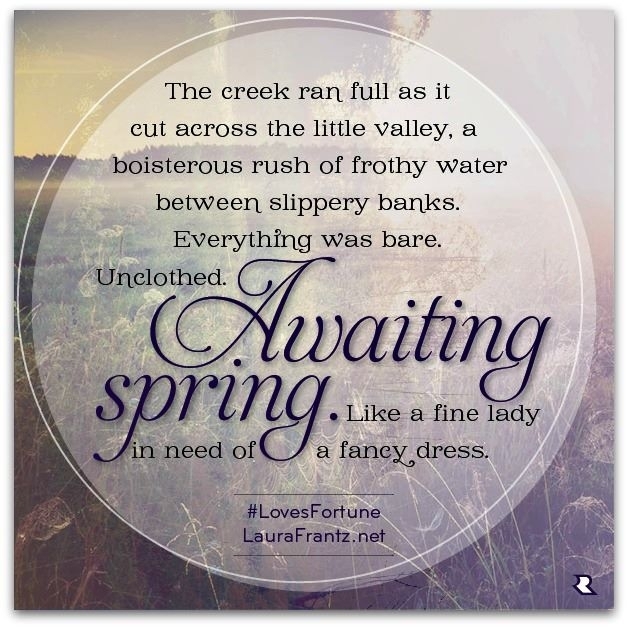 Here are a few quotes from the book that were featured on Laura Frantz’s Facebook page. I was given a complimentary copy of the this book by its publisher in exchange for an honest review. (I would have purchased it anyway. It’s a guaranteed good read!) All opinions are my own and I have not been compensated. Just for fun, here is the story behind the cover of the Novel. I love seeing how they create a cover to match the identity of the character. 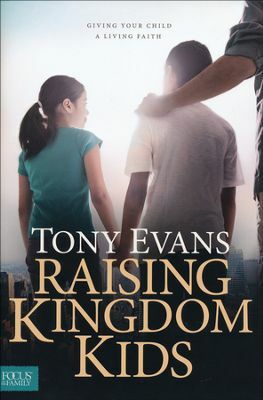 Raising Kingdom Kids by Dr. Tony Evans is an insightful and helpful book for parents with children of all ages. I thoroughly enjoyed this book and took many pages of notes. I plan on giving my copy to a friend because I feel like this book is one that should not only be recommended but shared. It confirms many things I have been feeling about family and how the family dynamic is changing. While it identifies struggles in raising children today in a Christian home, it also gives solutions! As Dr. Evans so aptly says on the back cover, “It’s far easier to SHAPE A CHILD than to REPAIR AN ADULT.” Could there be a more true statement regarding shaping the lives of people. One of my favorite chapters in the book, Dr. Evans gives Three Pillars of Parenting. They are Encouragement, Discipline, and Instruction. Within the first pillar, Dr. Evans describes how important for the parent to raise the child, not the village. This is so counter-cultural, but so wise! He says unless the village has kingdom values, the village should not be shaping your child. I could go on and on with the endless wisdom shared in this book, but it would be better if you obtained a copy for yourself! It is an invaluable resource for parents who desire to pass their Christian faith and values to their children. I was given a complimentary copy of this book by its publisher, Tyndale House, in exchange for an honest review. All opinions are my own and I have not been compensated.